(Bloomberg) — Rising commodity prices may have revived enthusiasm for African resources, but it’s unlikely to be the old mainstays of coal and iron ore pulling crowds next week as the mining industry meets in Cape Town. Far smaller and cheaper than the gargantuan mine, port and rail developments pursued by the likes of BHP Billiton Ltd. and Rio Tinto Group during the last boom, these next-generation mines may stand a better chance of success. Here are five metals grabbing attention across the continent. Struggling commodities trader Noble Group Ltd. surprised metal market watchers in November with a 12 million-pound ($17 million) investment in a rare-earth project in Malawi. The owner, Mkango Resources Ltd., says its deposits of neodymium and praseodymium will be used in magnets for products such as electric-vehicles and wind turbines. 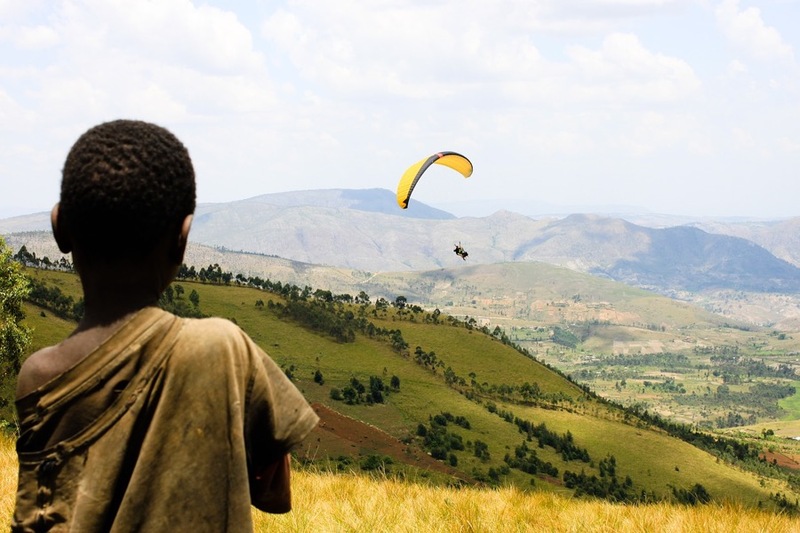 U.S. private equity firm Denham Capital Management LP is backing the Panda Hill niobium project in northern Tanzania. Niobium — named for a Greek goddess who became a symbol of the tragic mourning mother — is used to dramatically lighten steel for industrial pipes and aircraft parts. Panda promises to be the first new niobium mine in 40 years. The metal is currently mined in only three places on Earth. Traditionally sold to steel mills and the lubricants industry, graphite is benefiting from new demand for lithium-ion batteries needed to power new electric vehicles like Tesla Inc’s Model 3. Australia’s Syrah Resources Ltd. in November started shipments from what it says is the world’s largest deposit, located in northern Mozambique. 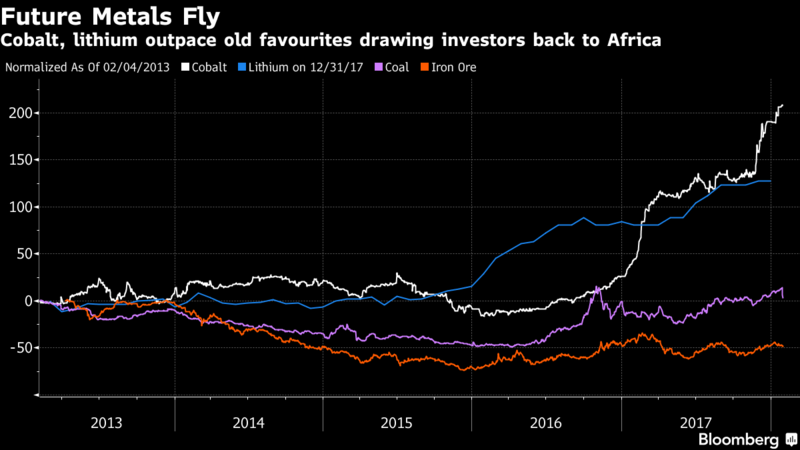 Although the world’s biggest commodity trader, Glencore Plc, was drawn to the Democratic Republic of Congo for its copper, by-product cobalt has become the star performer. Prices for the metal, another key component in electric-vehicle batteries, have tripled in the last two years and Glencore is moving to capitalize on the growing demand. It will more than double its cobalt production in the central African country to at least 58,000 tons by 2019, approximately 40 percent of global supply. From Congo to Namibia and Niger to Ivory Coast, mining juniors are scrambling to stake lithium ground ahead of expected surging demand for rechargeable batteries. Mining investor Adonis Pouroulis’s Desert Lion Energy Inc. has acquired exploration ground in western Namibia, while Australia’s AVZ Minerals Ltd. rallied 1,500 percent last year on a promise to recast a remote, century-old tin project in the Congo as one of the world’s biggest hard-rock lithium mines. Lithium carbonate prices about doubled in the past two years, according to data from Benchmark Mineral Intelligence. Story by Tom Wilson and Thomas Biesheuvel.